The surpluses of energy generated at the mills of Renuka do Brasil are sold to energy distributors, to free consumers (those who can opt to not purchase energy from the local concessionaire), and to traders. The sale to energy distributors is done through periodic official auctions, regulated by the government, which generate contracts that can last from a few months to up to 20 years (Reserve auctions, Alternative source auctions, new Energy auctions, and Existing Energy auctions). Negotiations with free consumers and energy traders can involve just the previous month, or can generate long term contracts of more than 10 years duration. The metering of energy generated by the mills of Renuka do Brasil is done by CPFL, which is the local distribution concessionaire. 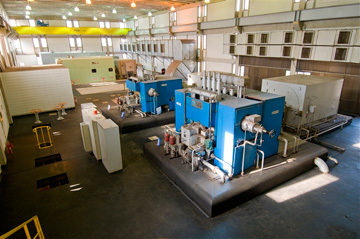 The accounting of the generated and sold amounts is then elaborated by the Electric Energy Chamber of Commerce, where the mills are registered as Independent Producers. Beyond conventional electric energy, at Mill Madhu, incentivized electric energy is produced, which allows the purchaser a 50% discount in the transmission costs (TUSD). This discount can reach more than R$25 per MWh.